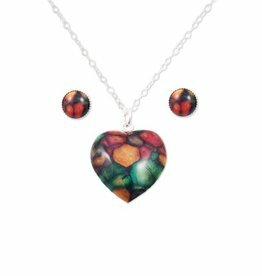 These beautiful Heathergems pieces are sold in a set, paring a lovely heart pendant with circle post-style earrings. The chain and earring fittings are made from sterling silver. Earrings measure approx 8mm and the heart pendant measures approx 30 x 20mm. 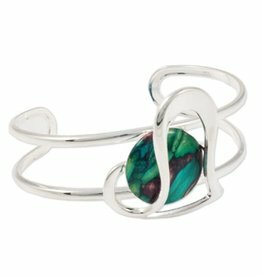 This beautiful Heathergem Offset Heart Bangle makes a great gift. Look for matching Pendant! 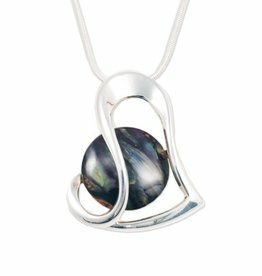 This beautiful Heathergem Offset Heart Pendant makes a great gift. Measures 1.5” x 1.25” and comes with an 18” plated chain. Look for matching Bangle! 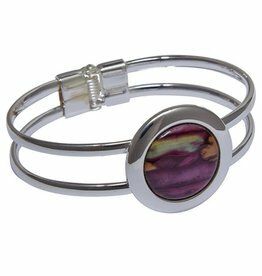 This beautiful Heathergem Bangle measures 200mm circumference.